A damaged roof can leave even the most beautiful homes looking unsightly or even dangerous. But finding a reliable roofing company can be difficult. At Daniel Roofing & Construction, we draw on years of industry experience to deliver the individualized roofing services you require. 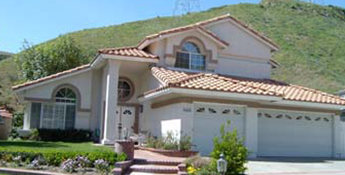 We are a client-oriented roofing contractor in Santa Clarita, CA. Our trained and skilled technicians take pride in making homes stronger and more attractive. Let us handle your roofing installation, repair, or replacement project. We use high-quality materials and proven construction methods to deliver picture-perfect results. Most of all, we pay attention to the needs of the client. When you choose us, we listen first and then act. In turn, you get the results you need--all according to your schedule and budget. Improving Curb Appeal: A new roof is a great way to change the appearance and character of your property. It makes your home look newer and will help it stand out on the block. Protecting Your Home: The roof is the first line of defense against the sun, wind, and rain. New roofing protects your interior from the elements, while also ensuring your home will last longer. Optimizing Energy Efficiency: Roofs provide insulation, which can improve the performance of your heating and air conditioning systems. A roof with new materials can help make your energy costs more manageable while keeping your property comfortable. Natural sunlight allows you to enjoy the sun’s brilliance in rooms that normally wouldn’t be able to capture it. In turn, it reduces the need for using indoor lighting as often and can bring down your electricity costs. Let our team complete your skylight installation project. We use materials from the well-known manufacturers and brands to ensure results you will enjoy for years to come. Request a free roofing estimate. We are a family-owned-and-operated roofing company serving commercial and residential clients in the Santa Clarita and San Fernando Valleys. Backed by decades of experience, our crew offers services ranging from repairs and re-roofing to skylight installation and waterproofing. We even install cool roofs, helping you stay in compliance with new Los Angeles requirements. When you choose us, you get a highly skilled crew that's dedicated to providing quality installation while communicating clearly and consistently every step of the way. We also provide affordable pricing with options for every budget, so you can revamp your roof without breaking the bank. Please don't hesitate and get in touch with our roofing contractor today to discuss your roofing needs. We review all service requests daily, so we'll reach out to schedule your estimate as soon as possible. Contact us to request an estimate for our roofing services. We are serve property owners throughout Santa Clarita and the San Fernando Valley areas.